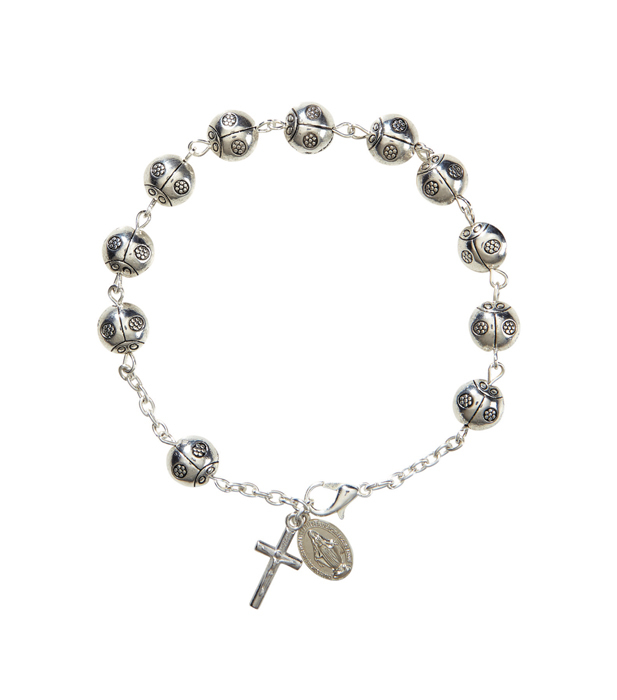 This unique one-decade rosary bracelet features a lovely Miraculous Medal dangle, silver-tone miniature crucifix, and ladybug shaped rosary beads. Wearing it can be a sign of faith as a constant reminder to pray the rosary daily. Makes an excellent gift or giveaway. Sold in quantities of 12 each.